It’s been another productive week! We have a couple of extra fun things on tap for this weekend so I’m ready to get it started! Earlier this week I posted about our Valentine’s Day decorations, and I completely forgot to photograph my coffee bar. It’s nothing extravagant, but I did want to document all of these cutesy mugs that are perfect for the LOVE holiday. If you missed the post, you can see it here! We have had an extremely cold winter this season, and I have actually mostly enjoyed it, but I’m starting to get pretty sick of it at this point. Well, this week we have had highs in upper sixties to mid seventies almost every day and it has been glorious! Granted there were a couple of rainy days thrown in, but on the sunny days we took full advantage of it! We did lots of playing in the back yard and Jacob and I even got to squeeze in a nice, long walk. I think Maui was even more excited than we were! 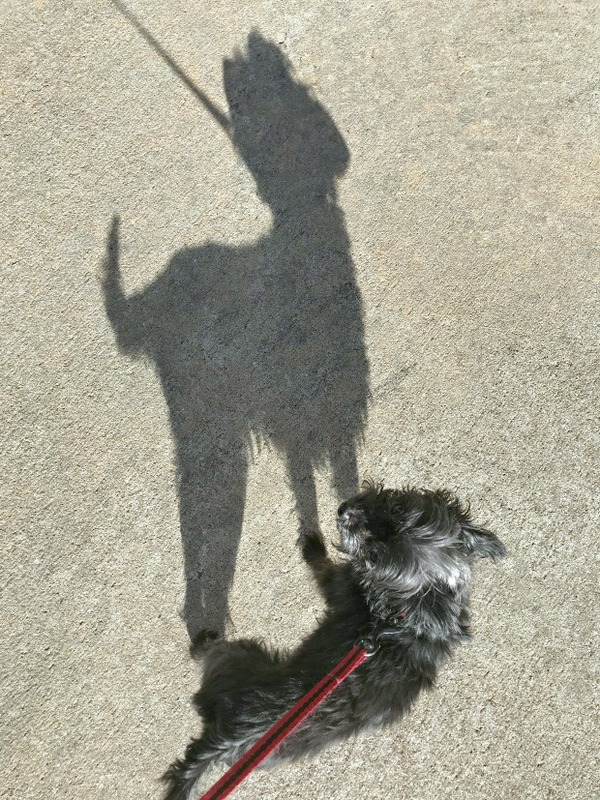 She always misses her walks during the winter! Oh, and speaking of Jacob, I posted a Things Jacob Says post this week, and it is hilarious. Give it a read if you didn't already! Yep, I’m about to give you yet another update on the great purge of 2018! Y’all, it is going SO well. And I’m honestly at the point where I just want to be done with my office so I think it’s making me be even more ruthless which is a good thing. Closet – cleaned out all old memory boxes, purged LOADS of old stuff, organized remaining memories in three storage containers and labeled them by stages of life – birth through junior high, high school through college, and adulthood. Looks like I have my work cut out for me… and after I’m done with all of that, it’ll be time to move on to the rest of the house! Eek! My friend Emily over at ALittle Bit of Emily posted about her Christmas card storage this week and she inspired me to finally get my past Christmas cards organized. I have had this on my to do list for probably five years, and seeing her post this week was the kick in the pants I needed to finally get it done! So far I’ve only done five year’s worth, but it’s coming along and I’ll hopefully be done soon. And the most exciting part is that it will be so fun to store them in a pretty basket during the Christmas season later this year! Well, was that long enough for ya? I hope you all have wonderful weekends! We have some fun things in store, so I’m sure we will! Love all your Valentine Coffee Mugs!! The weather here has been great too!! I'm so ready for Spring! Your mugs are too cute!!! I love that cuddle one! Your office purge is going so well - you have accomplished so much!!! And thanks so much for the shout out!!! I love how you added the little circle tags. I may have to do that for mine! LOVE your coffee bar! 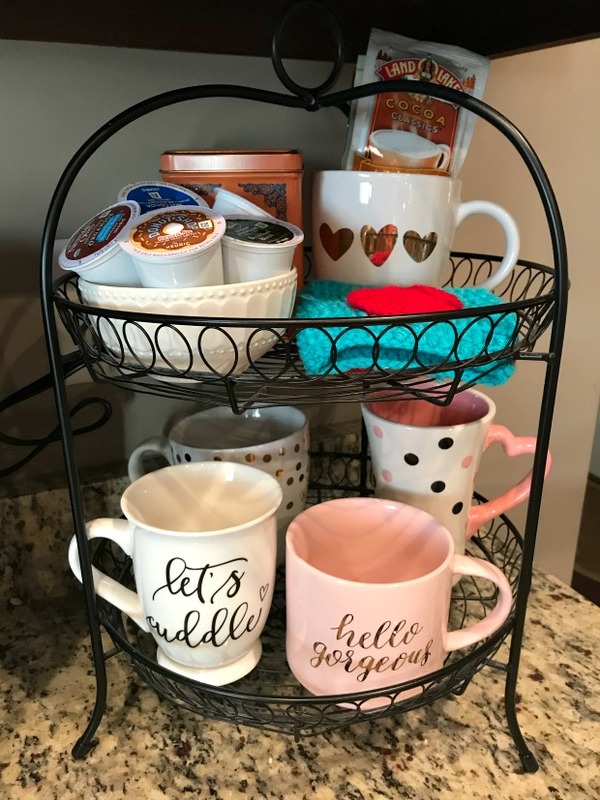 I have that Hello Gorgeous mug from Target and it's a favorite! Yep, keep ALL the school stuff, it's fun to look back at. Have a beautiful weekend gorgeous lady! 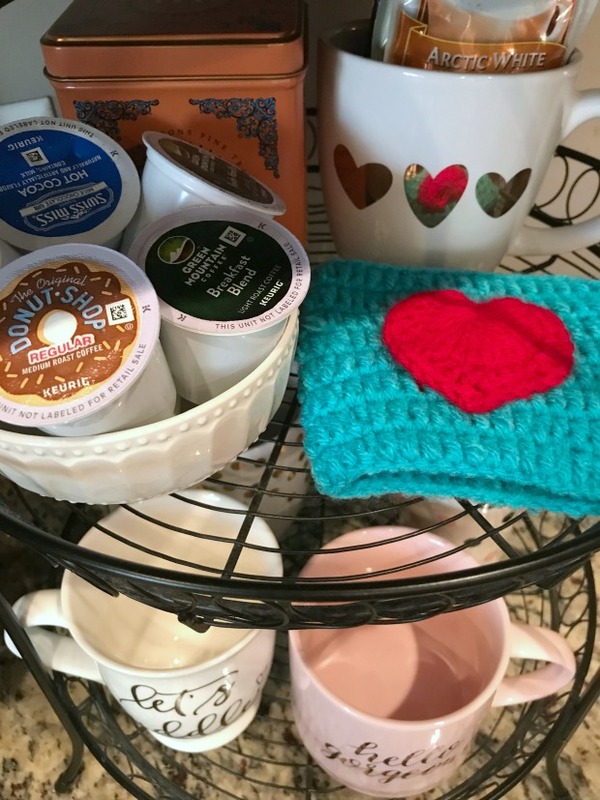 your coffee bar is darling! You are on a roll with the organizing!! keep it up! I have hit a plateau and need to get back on it. We have had some good weather too! Have a great weekend friend! You are on a purging role!! I can't believe how much you've gotten done! I have like next to zero Valentine's decorations. I mentioned to James that I'm going to shop the after holiday sales and get a handful of new pieces. I love your Christmas card idea!! I just have all of mine in a big zip lock bag. I am they same way when it comes to mascara. I have been using a Maybeline mascara for almsost 3 years and sometimes I try to branch out and I always regret it. Have a great weekend. Love the mugs! I've been looking for a mascara that really works well for me. I'll have to try the one you love! I'm the exact same about mascaras! I'm on a tube I don't like at all right now and I don't know why I didn't just get my Holy Grail. I need somebody to stop me from trying new things when I already have something that works! I want to do the Christmas card ring as well. Mine are just sitting in a pile in my dining room. It needs to happen. I love this season and I am so excited to make some cookies and get ready for V-day with my girls. I'm jealous of your warm weather! It hasn't been above 15 degrees here all week. Have a great weekend! Girl, that sounds awful! I don't know how y'all do it! You are doing amazing with your purge! We've just started our huge purge in preparation for our move, and man...it's daunting! Great job continuing to do it! Girl, I forgot all about Last Blash!!! That was my go to for the longest time too. Makes me want to grab a new tube of it this weekend. 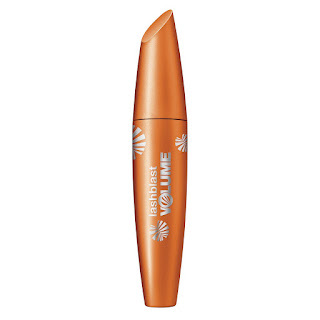 I have learned I pretty much hate any fiber mascara. They drive my eyes crazy and make a mess. Your coffee bar decor is so cute! 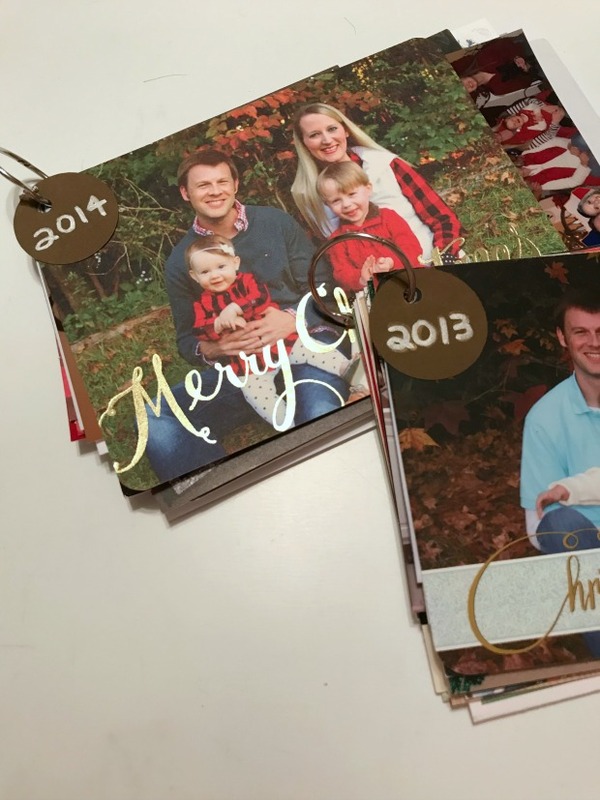 I love the idea of the Christmas card storage you shared. And I had a pretty things file before Pinterest too!!!!! I should have done that with my christmas cards, I just purged them in my purge. I am so impressed with all of your organization and purging, I am sure it feels so great. I need to try that mascara out! Have a great weekend! Sounds like purging is going well! I kind of stalled out when I went back to work after Christmas but I have off next Monday and plan to just go through boxes and bins all day! I'm weirdly excited lol! I think my fave was your pre-pinterest collages! I love it. You have done a super job purging girl. I know it is feeling so good! !